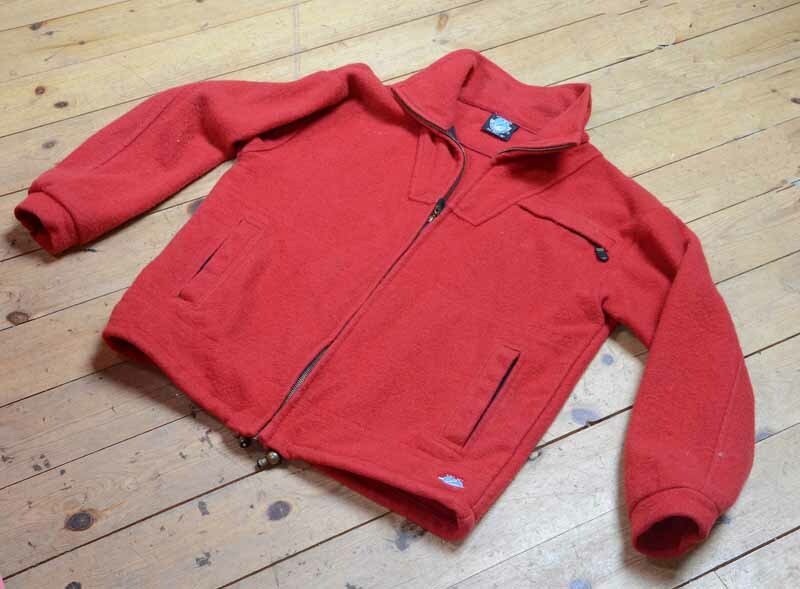 Fleece jacket with zipped front,three pockets and metal toggles on drawstring. On one label"THE ORIGINAL SWANNDRI SM-91CM-36" " and a logo of a swan. 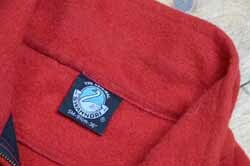 On other label "MADE IN NEW ZEALAND WOOL OF NEW ZEALAND" and laundry instructions. On small badge with swan logo "EST 1871"
This jacket was heading for the Oxfam shop but we thought it might be better saved for posterity. 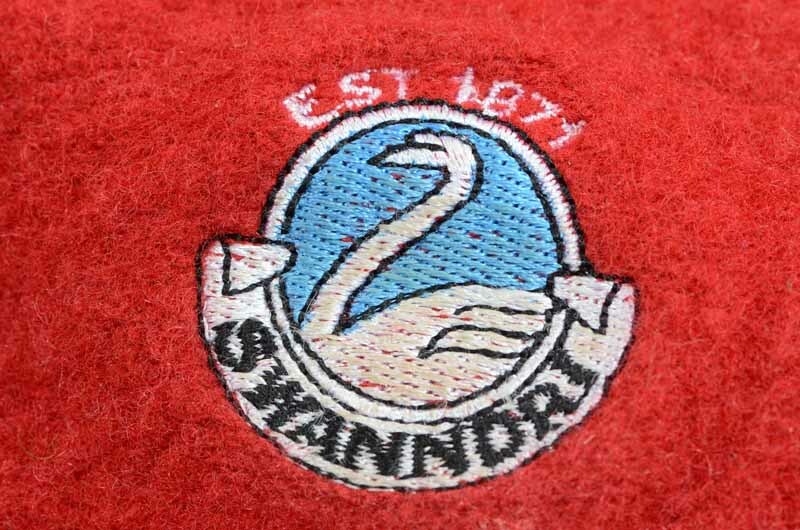 Swanndri started life in Taranaki, New Zealand in 1913, brainchild of a tailor called William Broome who developed a work shirt made from pure New Zealand wool impregnated with a secret waterproofing agent. 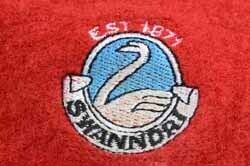 Water ran off the shirt in the same way it ran off a swan's back - hence Swanndri - and one wonders if there are any ducks in New Zealand with backs for water to run off -though Duckdri doesn't have the same impact! Swanndri clothing has never been too popular with the mountaineering fraternity though the Scottish deer stalking folk use it, and like it a lot; they spend a lot of time out in the rain and crawling about in wet heather so there must be some merit in it. SMHC trustee, Robert Veitch, donated this one - a nice addition to our ever growing retro fashion house.